Long Beach, Calif. – May 31, 2014 – Formula DRIFT PRO 2 Series kicked off the season at Homestead-Miami Speedway with the first of four rounds of competition. Geoff Stoneback in the Geoff Stoneback Racing Nissan S14 takes the first victory in PRO 2 history. 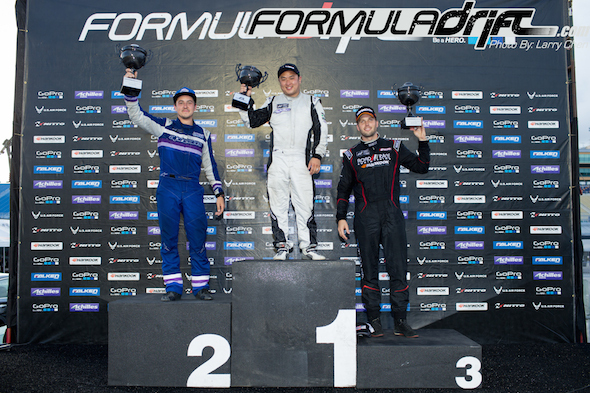 The 2014 Formula DRIFT PRO 2 season continues with Round 2 on July 18-19 at Evergreen Speedway. For more information visit: www.formuladrift.com and find Formula DRIFT on Instagram @formulad, Facebook www.facebook.com/formuladrift and Twitter @FormulaD.